Adding annotation plots to your plot groups is an easy way to label the plots of your simulation results with names, comments, and values of quantities evaluated at specified locations. 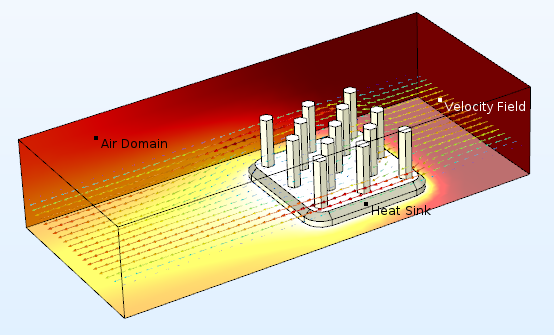 In this blog post, we’ll explore adding annotation plots to a model of a heat sink. The settings for an annotation plot. I’ll walk through some of these settings in the heat sink model to demonstrate how the process works. 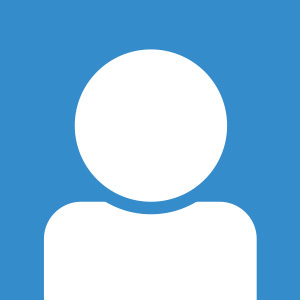 By default, the annotation is positioned at the coordinates (0,0,0). Above, the note appears overlapped with the other plots in the plot group. 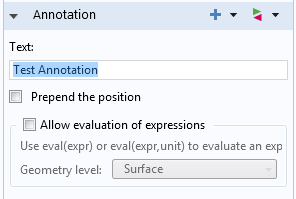 A more common and useful way to use annotation plots is to include the value of a chosen expression at a particular point in the model geometry. 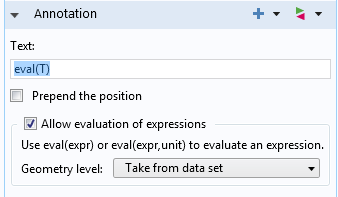 With the Allow evaluation of expressions check box, the annotation is permitted to display the evaluation of a specified quantity. In the image below, I’ve chosen to evaluate the temperature in the heat sink at the coordinates of my annotation. For annotations created in a 3D plot group, plotting on volumes is also an option. The eval(expression) command is flexible — these methods can also be applied to time-dependent studies, for instance. 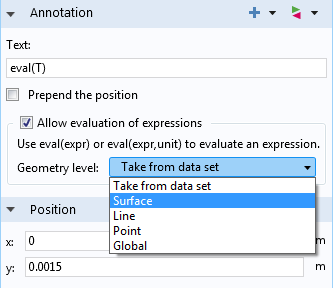 The Replace Expression menu is accessible from the Annotation section of the settings and gives access to the same plot expressions that are available in other plot types. 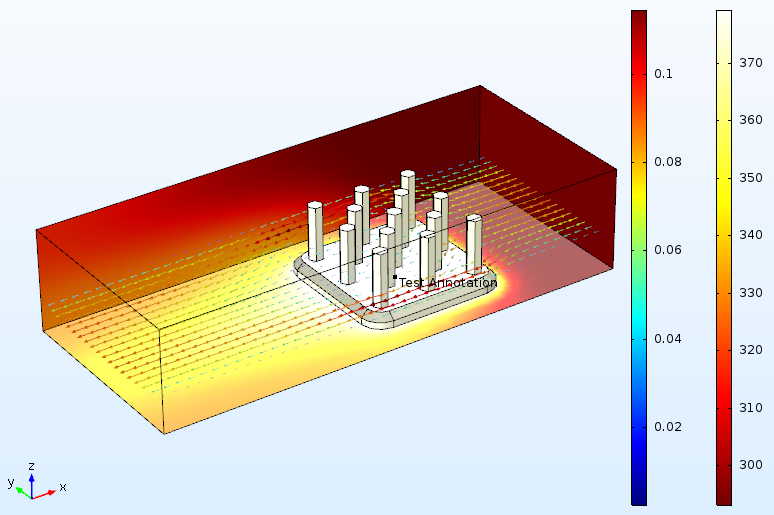 Stay tuned for more postprocessing discussions on the COMSOL Blog.